Ancient civilisations had their own way of conducting eyesight tests. Their version of the modern Snellen Chart (we’ll come to that later) was to peer into the night sky and identify the constellations. If you couldn’t see the Big Dipper, perhaps you weren’t the best hunting partner. Distinguishing between two stars – Mizar and Alcor (the handle of the Big Dipper) – comprised the ‘Arab Eye Test’, the first recorded attempt to measure the performance of human vision. Fast forward a few thousand years to the German Johannes Kepler, a multi-talented mathematics maestro who in 1603 correctly spotted the importance of the retina (the light-sensitive layer at the back of the eye). Kepler went a step further. He realised that images reach the back of the eye upside down and inverted. Your brain is clever enough to instinctively flip this image, so you can make sense of what’s up and down. It’s a mind-boggling thought. Step into any opticians and they’ll probably examine the back of your eyes with what looks like a small stick with a light on the end. It’s an ophthalmoscope, and it’s been a fundamental part of eye tests for over 150 years. The ophthalmoscope was invented by another German - Hermann Von Helmholtz - in 1851, and in doing so he revolutionised eye care. Helmholtz, like Kepler, was a polymath who made significant discoveries in the fields of acoustics, nerve physiology and mechanics. But it was his ophthalmoscope that made him an overnight superstar. In fact, Helmholtz even had an accidental influence on another great invention. When a confused Alexander Graham Bell misread one of Helmholtz’s German-language science papers, it helped the Scottish inventor develop an idea that made the telephone possible. Another longstanding fixture in any eye exam is the iconic Snellen eye chart. You’ll know it instantly – rows of random letters on a white background, with each successive row becoming progressively smaller. The chart was the brainchild of Herman Snellen in 1862, and it immediately caught on with eye testers, being a quick and easy way of assessing a patient’s sight. Snellen, a Dutch ophthalmologist, made another contribution to both optics and everyday speech. The term ‘20/20 vision’ is a direct result of the Snellen chart. Incidentally, ‘20/20’ is simply a measurement in feet. The UK and European equivalent is a more metric-friendly ‘6/6’. In the modern era, we now have cameras that can snap detailed pictures of the back of the eye. This technical feat was first managed in 1926, but it didn’t become common practice until years later. These days all high street opticians recommend retinal photography; the NHS uses retinal photographs to look for diabetic retinopathy. Invented in Scotland in the early 1990s, Optomap goes one step further than standard retinal photography, giving a wide-angle view of the retina. Optomap can capture up to 80% of the retina, compared to 45% with a standard retinal camera. We can also capture 3D images of the eye. OCT – optical coherence tomography – helps in the early detection of glaucoma and macular degeneration. Leightons recommends a full eye exam at least every 2 years, ideally using retinal photographs, Optomap, or OCT imaging. But as you’ll see below, access to this technology won’t cost you the earth. 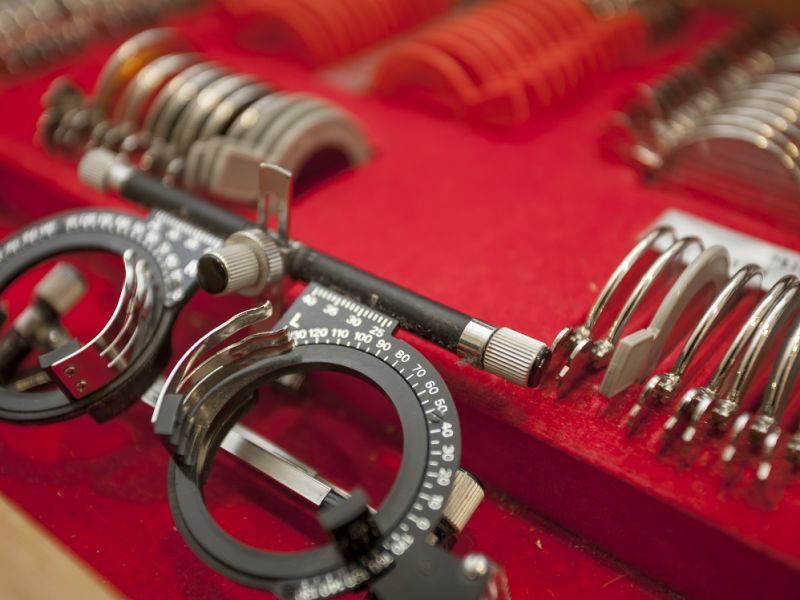 What kind of Eye Examinations can I have at Leightons? At Leightons, we can provide standard NHS sight tests, but we also offer three additional levels of privately available eye examinations. The Leightons Eye Examination – includes free Retinal Photography, which lets us track the health of your eyes over time, and costs just £40 for private appointments. The Leightons Ultimate Eye Examination – as above, but includes an OCT scan so we can identify eye conditions up to 5 years earlier than a normal test. Private patients can book in for just £69. The Leightons Advanced Eye Examination –available in selected branches, this includes Optomap imaging, plus OCT and Retinal Photography. It costs £89 for private patients.